Luckycharm4x4 made some sweet rock rails for me while I was in North Carolina last week. I will post pics up tomorrow of them. Locker should be going in this weekend. Last edited by thrca; 09-01-2009 at 05:36 PM. Thanks Beef, I didn't have much time to work on them as I work full time, but I got them done in 3 nights. 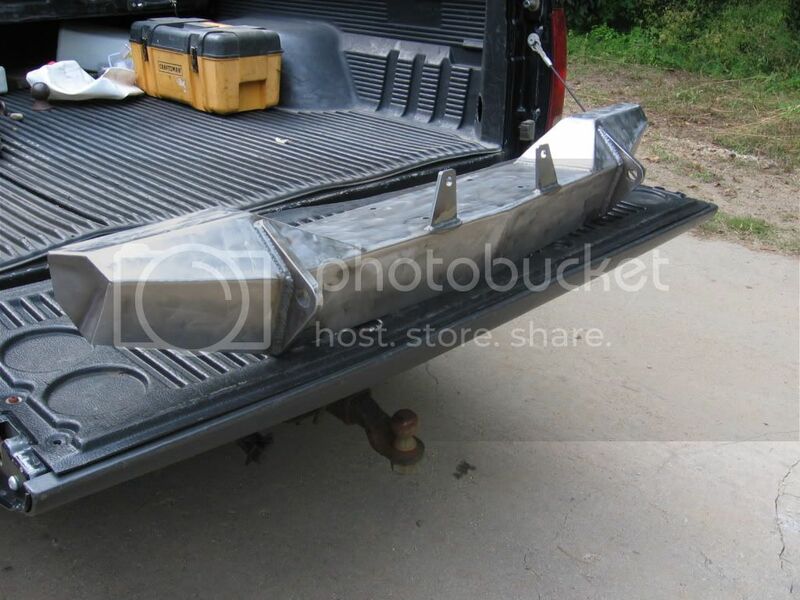 I like his a lot better than the ones on my Jeep, so I may find myself building some of these for me one day. Well, This is kinda turning into a neverending build thread.. Perhaps I should have it moved to the Rig Builds forum and change the title. Anyways, this week I am a bit busy, so I only got a couple things done. Removed all the fender flares to start getting ready for fabbing up the tube fenders. I will probably head down to LuckyCharms shop for the tube fenders, since he already has one side started. New radiator should be in tomorrow, so the factory radiator will get torn down and replaced then. XJ4Life is working like a mad hatter on my new front bumper. I am really excited to get my hands on that. Designed my new long arm 4-link rear suspension and radius-arm long arm front suspension. Should start construction on those here in the next several weeks. Holy crap I had no idea you rebuilding the rig to this extent. I've rebuilt my XJ a couple times. Wish I would have gotten it this way the first time but I had fun building it and learned a lot along the way. Yeah, its a neverending money sink/work in progress... BTW, do you have branding for your bumpers, and if so, do you have any vinyl stickers cut? If not, do you have them designed? I have a friend that cuts vinyl, so if you have a design I will cut a few and stick one on my rig. Im starting to get it past the DD stage, since I only drive a couple miles a week at most, I just use my wifes car. I will get my own DD sooner or later. Ok, Condensed all the periodic updates into the first post in the thread, and I will just use this from now on to link pictures and progress stuff. Can one of the mods move this thread to Rig Builds please? Once the Jeep no longer is a DD, that's when everything starts going down hill. Built my one winter and when I was almost done I realized it was no longer going to be streetable. Went to the wife and said, "Honey, I think I need a truck and trailer too." I actually just got a few prototypes in the mail yesterday. Only ordered a handful and they're basically gone already. Proto's turned out pretty good so I'm going to order up a bunch more. If I dont have them in time I'll mail you some. Can one of the mods move this thread to Rig Builds please? take it out back and shoot it. New radiator is in. It was long overdue for a change, in addition to being cracked. Pics will be up soon. Your Jeep looks like it's missing something, oh yeah, a dana 300. I have one that you could have but it will cost ya! 94YJ_CJ Clip_SBC_T-14_D-20_4in lift_36"H1's_SOA_10/14 Bolt "PROJECT"